“[Andrey] won’t give me that many opportunities like Hubert [Hurkacz] today,” said Tsitsipas. “It’s going to be a fight. It’s going to be tough match to deal with. In the first semi-final, Alex de Minaur will meet Spaniard Jaume Munar for a place in Saturday’s final. Like Tsitsipas and Rublev, the pair has previously met below tour-level. On both occasions, Munar defeated the Australian in straight sets to win trophies in Spain. But De Minaur will be confident of notching his first win against the Mallorcan after an impressive Group B performance. Munar’s chances of reaching the last four appeared bleak after losing his opening two matches in Milan, but an impressive three-set victory over Frances Tiafoe, coupled with Tsitsipas’ victory over Hubert Hurkacz, earned the Spaniard a shot at reaching the championship match. 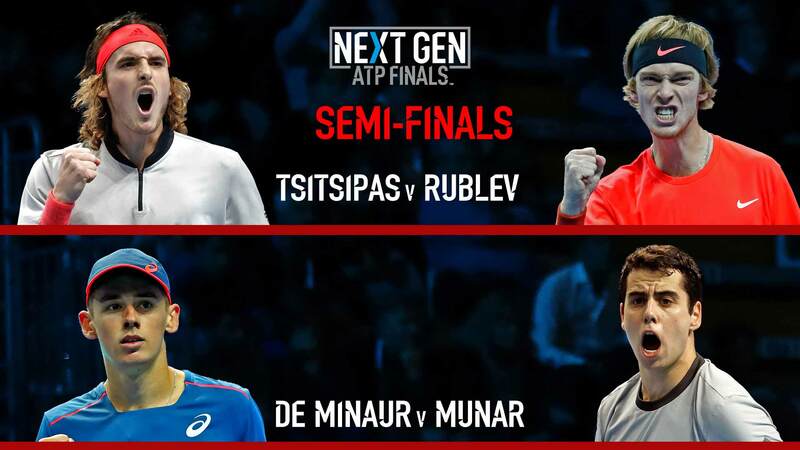 After two victories below tour-level against his semi-final opponent, will Munar be able to maintain his winning record against De Minaur on such a big stage? That remains to be seen.